This is the bracket that holds the rearview mirror in place. Authentic reproduction of the inner rear view mirror bracket designed to replace the original bracket exactly. Each bracket replicated the original exactly including correct finish and fit. 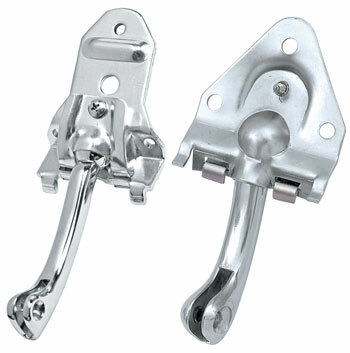 Includes chrome plating and correct mounting holes for installation. Mirror mounting screw is available separately (MR-16). Use MR-17 to mount the bracket. Specify coupe or convertible when ordering.